Manufacturer of innovative products for noise dosimetry, basic sound level and advanced frequency analysis measurements. 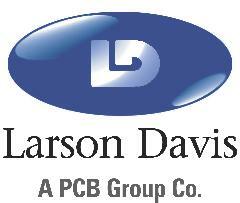 Manufacturers of community and environmental noise monitors & alarms, measurement microphones and systems. Acoustics begins with ACO. Optinav develops practical, effective acoustical imaging systems for noise control. Manufacturer of portable, real-time, multichannel noise and vibration analyzers. 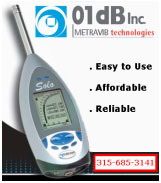 01dB Acoustics and Vibration has a wide range of USB Sound Level Meters (SOLO Series) and low cost Sound Indicators (idB Series). 01dB has developed a unique solution on the marketplace for Noise and Vibration Monitoring based on the INTERNET (Oper@ series). Manufacturer and supplier of noise monitoring instrumentation and handheld sound level meters, dataloggers, octave band analyzers, dosimeters and calibrators. 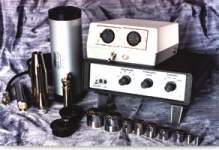 McLennan Research, Inc. makes sound level meters. They have developed an entertainment sound level meter to provide instant readouts and continuous information. Features include an adjustable excessive sound alarm. The meter is intended to be mounted in a permanent position, providing instant and continuous sound level information.